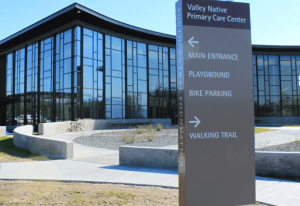 The Benteh Nuutah Valley Native Primary Care Center (VNPCC) Behavioral Health Clinic offers customer-centered services for individuals and families in the Matanuska-Susitna Valley area. Services are available for Alaska Native and American Indian people ages 18 and older, as well as for children ages 6 to 18, with parental consent. There are a number of groups and specialized programs available. Please call for current group days and times.